A stunning new collection of modern dining furniture comes the beautiful Danube dining range. Crafted from weathered oak wood, chosen for its beautiful natural characteristics which are enhanced by a rich gorgeous natural light stain. Each piece in this collection will add modern style and elegance to your home. 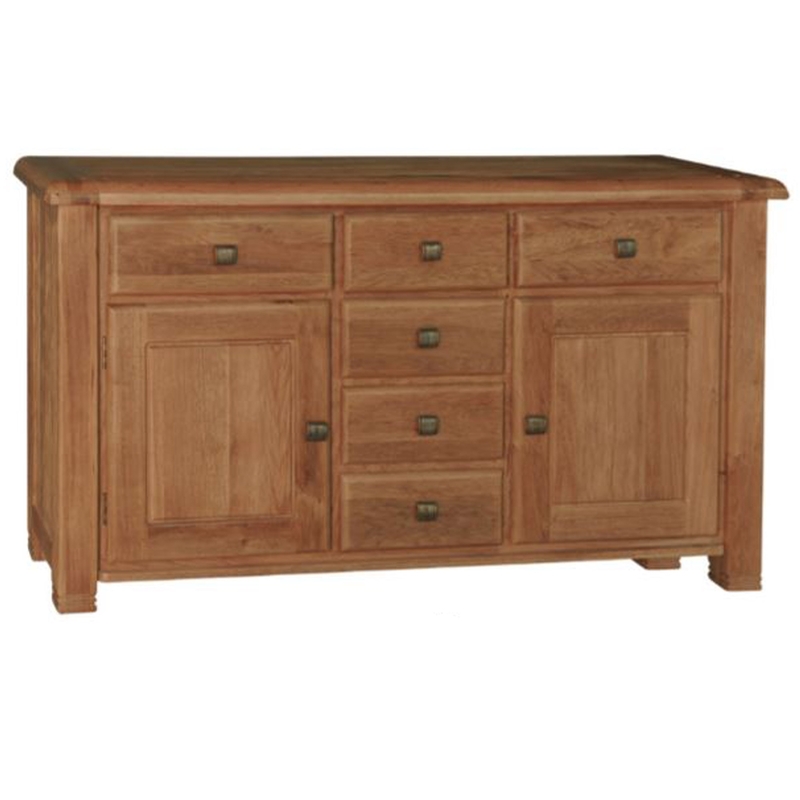 Featured here we have a beautiful extra large sideboard, the perfect piece to provide practicality and beauty within your dining room or living area.